A former Institutional Asset Manager at Goldman Sachs & Co., J. Randall Waterfield now serves as Chair of the Waterfield Group, a financial services company that traces its roots to 1928. The Waterfield Group comprises several subsidiary companies, such as Waterfield Financial Services (WFS). WFS provides private-label banking to insurance companies, brokerage companies, financial institutions, and associations. J. Randall Waterfield oversees the company’s banking services, which include money market accounts, nationwide access to ATMs, ATM fee reimbursements, online bill payment, mortgage loans, and other services. WFS delivers superior banking services that provide more value for account holders. J. Randall Waterfield also serves as the Managing Director of Waterfield Asset Management, an investment advisor that handles more than $2 billion in assets. He sits on the Boards of Directors for Waterfield Enterprises, Waterfield Private Equity Funds, Waterfield Energy, and Waterfield Technologies. J. Randall Waterfield also was instrumental in the creation of Cappello Waterfield & Co., an investment bank with more than $100 billion in aggregate mergers, acquisitions, and other transactions through Cappello Capital Corporation and the Cappello Group. He has also served on the Boards of Directors for other organizations, including Culver Military Academy Summer Schools and Camps, TheRateReport.com, Asure Software (NASDAQ: ASUR), and RF Industries (NASDAQ: RFIL). J. Randall Waterfield contributes to several nonprofit organizations through the Waterfield Endowment Scholarship program, additionally assisting Culver Military Academy, the Canterbury School, and Indiana University-Purdue University Fort Wayne. 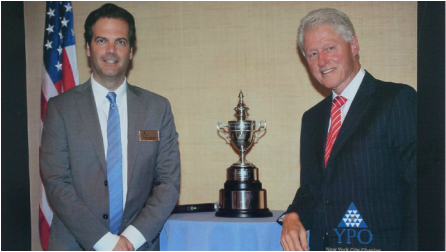 He participates in the Young Presidents Organization in New York City and once served as the organization’s Chairman. A member of Mensa, J. Randall Waterfield studied at Harvard University and holds the Chartered Financial Analyst designation.